House of Illustration, the first permanent home of the charity of the same name, opened in Granary Square, King's Cross, in summer 2014 with an inaugural exhibition of works by much loved illustrator Quentin Blake. 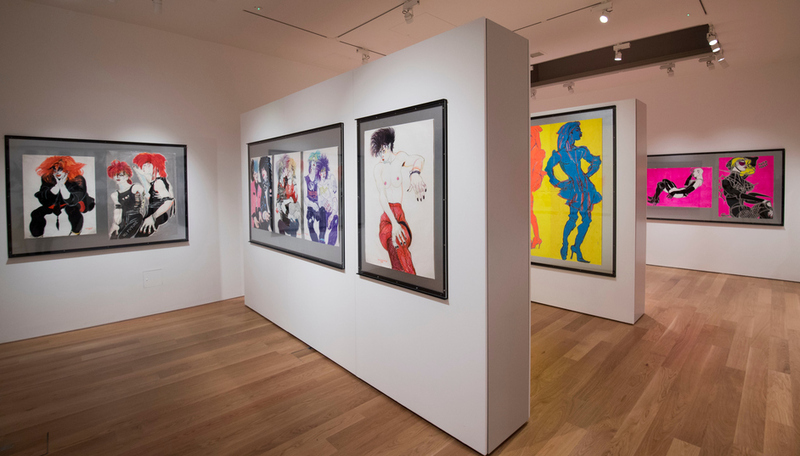 The gallery and education space is the place to see, learn about, and enjoy illustration in all its forms, from adverts to animation, picture books to political cartoons and scientific drawings to fashion design. As well as a series of superb exhibitions each year the gallery puts on talks, workshops and the South Gallery and Education Studio are available to hire for events. Rough drawings and dummy books of the Austrian-born illustrator's Madeline picture book series, which has sold over 14 million copies worldwide. Bold and bright screen prints by the 1960s American pop artist, which explore poverty, racism and war through advertising slogans and religious texts. The Illustrator in Residence represents opinions on Brexit, gathered over a six month period, through drawing, embroidery and video. What are the best dining options near House of Illustration London? House of Illustration gyms, sporting activities, health & beauty and fitness. The best pubs near London House of Illustration. House of Illustration clubs, bars, cabaret nights, casinos and interesting nightlife. Where to have your meeting, conference, exhibition, private dining or training course near House of Illustration. From cheap budget places to stay to luxury 5 star hotels see our deals for House of Illustration hotels, including Hilton London Euston Hotel from 73% off.